The Spartanburg Phillie took off for second, but Gastonia catcher Joe Lewis was having none of it. Lewis gunned the ball to second, cutting down the runner. The Spartanburg manager argued, but the call stood, The Spartanburg Herald-Journal wrote. Lewis cut down that runner in his second season as a pro. He played in just one more. 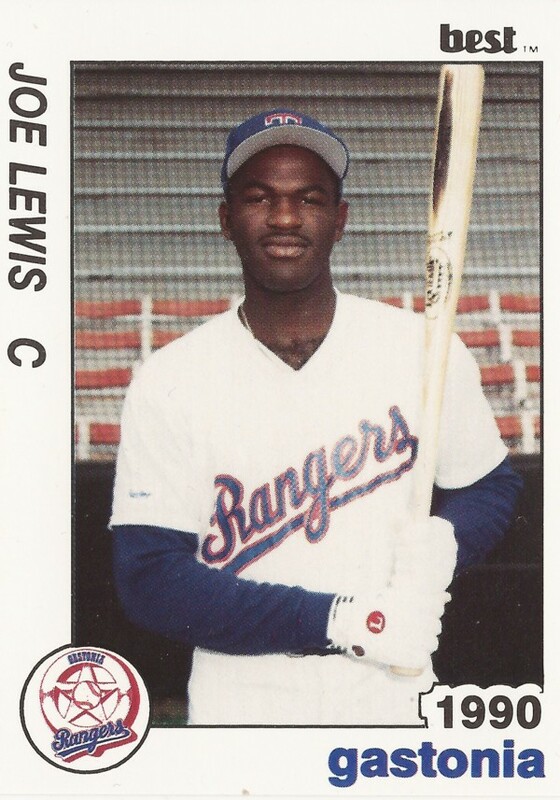 Lewis' career began in 1988, signed by the Rangers as an undrafted free agent out of Louisiana State University. Lewis is credited as being drafted previously, taken in the third round of the 1986 draft out of St. Amant High School in Louisiana. He did not sign. By 1987, he was at LSU. In 31 games, he hit .222. He hit two home runs and had 17 RBI. His Tigers made the College World Series that year. Lewis struck out in a first-round game. On the way to Omaha, he scored the go-ahead run in a regional game. Lewis is only credited as playing that one season with LSU. He hit the field with the Rangers in 1988. He got into 34 games at rookie Butte that year, hitting .238, with nine RBI. He divided 1989 between the rookie Gulf Coast League, Butte and Gastonia. Between them, he hit .245, with 27 RBI. At Gastonia, he hit .233 in 37 games. 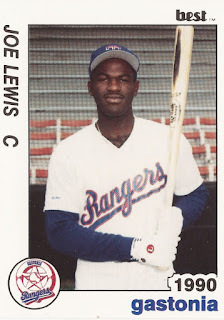 For 1990, Lewis returned to Gastonia. He got into just 32 games, hitting .235. It was his final year as a pro.